I was aware of a great feeling today! I was driving home after dropping off my daughter, and realised that I was really excited about getting back to work! My work today involved editing the text of the book Anne Galloway and I are collaborating on. I must say, I had been stuck for a while; after seeing the first draft it was hard to be objective and begin the editing process; I am a master at procrastination, and I found a million very pressing jobs to do before beginning the edit. But yesterday it seemed as if the dam holding me back broke, and I was finally able to get to grips with the text. As I worked it really felt as if I was “in the zone” totally focused and able to appreciate the process of editing. Truely a Csikszentmihalyi “flow experience”! So do you think it’s possible to give ourselves permission to wait until we’re in the flow, then edit? Or, do whatever we need to do to get into the flow? I find great success with these 2 strategies. I never feel I’m procrastinating, just finding ways to get into the flow. Thanks for the thoughtful post! with me, as I am procrastinating I am not always consious of doing that, so I cannot give permission to procrastinate. 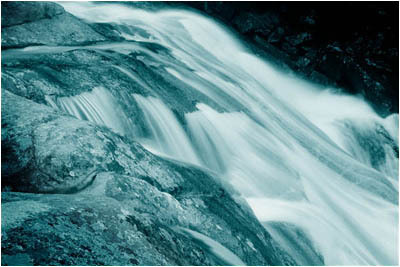 Its only as I become aware of my stalling behaviour that I can take steps to become ready to “flow”!